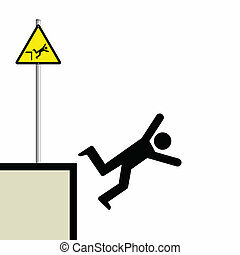 Falling man - caution sign. 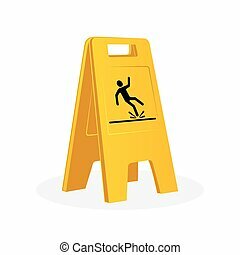 Wet floor, stairways, watch your step - set of vector caution signs. yellow and black warning icons. stop ahead, warning - go slow, warning- tripping hazard. Warning sign, caution wet floor. 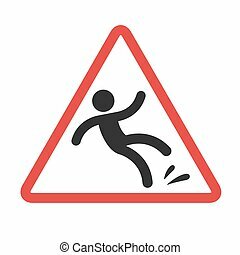 Falling man in red triangle vector symbol. 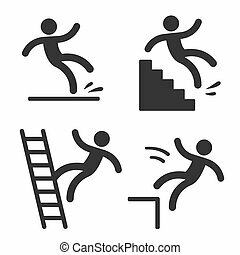 Caution symbols with stick figure man falling. 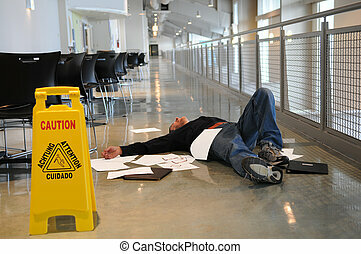 Wet floor, tripping on stairs, fall down from ladder and over the egde. 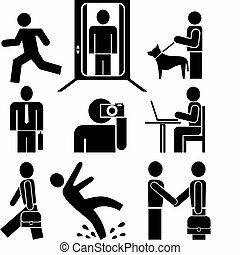 Workplace safety and injury vector illustration. 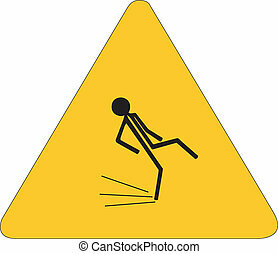 Man falls sign icon. 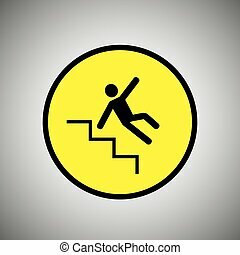 Falling down human symbol. Caution slippery. Mobile payments, calendar and wifi icons. Bus shuttle. 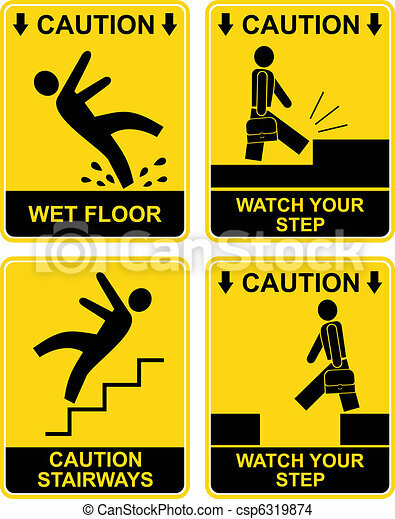 Man falls sign icon. Falling down human symbol. Caution slippery. Information think bubble, question mark, download and report. Prohibited signs - set of isolated vector icons. No campfires, no diving, keep out. Black and red on white background. 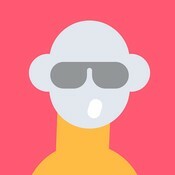 People in action - set of isolated vector icons. Black and white simple pictograms. Set of orange and grey vector icons. Can be used for malls, shopping centers, hotels, airports and other public buildings. 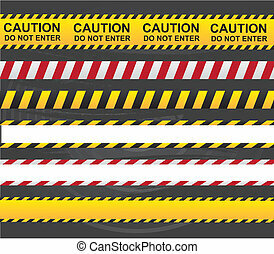 Isolated information signs, design elements.